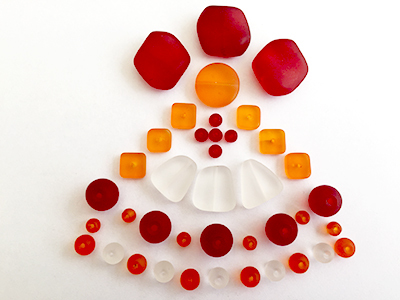 Our 2015 Bead Challenge featured a stunning set of glass etched and frosted beads, in an orange, red and white theme. The similarity of finish of these beads, provided a unique challenge opportunity for artists. The addition of other complementary beads and findings made for truly magnificent exhibition. International Tutor, Melanie Potter was our guest judge for this challenge.